Choosing a new tarot cards deck can become a difficult task. Not only there are numerous design options, colors and even shapes that you may feel more or less attracted to, but for the beginner and for the advanced tarotist, multiple selection parameters apply as the personal connection established with the trumps can affect the reading results. 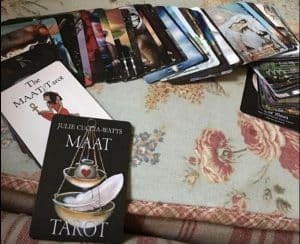 Currently, you can find Tarot decks with images of angels, pictures, Nordic mythology, Dali’ artwork, Vikings, Spirit animals, runes, even zombies … For this reason it is quite difficult to choose an oracle, especially when the reader has already achieved a great mastery over the three basic Tarot decks: Rider-Waite, Marseille, and Thoth. We find people who prefer cards that follow the Anglo-Saxon iconographic style of the Rider-Waite tradition. There are spiritualist with a taste for challenges that love the Marseille’s style, the most ancient tarot iconography studied in depth by Carl Jung. Do you like cards with frames or without them? Do you feel more connected with modern themed cards? Steam-Punk? Do you believe in fairies? The most ideal and best tarot deck is waiting for you to discover it, and we have come to help you in that search. First of all you have to ask yourself, what use do I want to give to this tarot deck? If our intention is to use it as a self-knowledge tool, or psychological and spiritual help, consulting your cards as if they were a spiritual guide, then it is important to look for a deck that maintains the original structure of either Marseille or Rider. Each deck can establish a special connection with you in relation to specific questions. 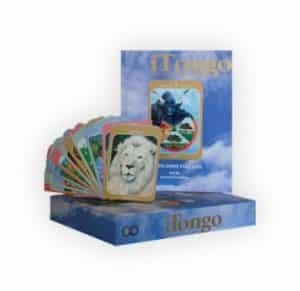 Prominent tarot readers go for a Thoth deck when consulting matters of great emotional and psychic depth, but also opt for a Cartoon deck when the spread is children-related. There are infinite options, as there are infinite advises that tarot can give you towards your spiritual growth. In this section we will review all the characteristics, advantages and disadvantages of every tarot deck option. Our mission is to facilitate your spiritual journey by letting you know all the wonderful possibilities you can find in a new and beautiful tarot deck. Join us on this trip to discover all the secrets of the most popular, mysterious, and powerful decks ever seen before.